Just a few years ago, Netflix was best known for its streaming service and DVD-by-mail service. In 2012, the company debuted its first original series, Lilyhammer, followed by the wildly popular House of Cards in 2013. The company is now home to a slew of hit programs, with its slate expanding exponentially each year, while also branching out to original movies like Beasts of No Nation. The company has been notoriously secretive about releasing viewer data, but last week, an NBC executive reportedly revealed viewer data for three of the service's most recent shows, Marvel's Jessica Jones, Master of None and Narcos. Variety reports that, during Netflix's TCA winter tour session, chief content officer Ted Sarandos called NBC's findings "remarkably inaccurate." During the NBC TCA panel, the network's longtime analytics guru Alan Wurtzel presented data on Marvel's Jessica Jones, Master of None and Narcos, collected from September through December, estimated by technology company Symphony. The company tracks viewership through audio content recognition software loaded onto user's phones, by recognizing the show's soundtrack. 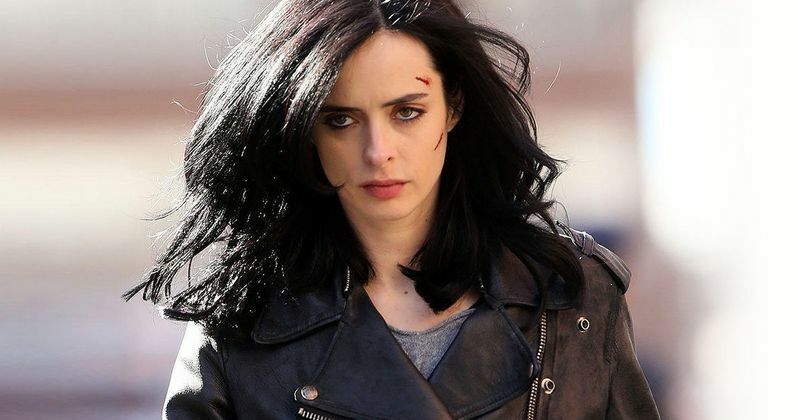 Through an unspecified sample size, the data concluded that Marvel's Jessica Jones averaged 4.8 million viewers among adults 18-49, while Narcos averaged 3.2 million young adult viewers and Master of None averaged 3.9 million viewers. Ted Sarandos responded to these findings by pondering why NBC would use its TCA time to talk about Netflix's ratings. (I wonder) why NBC would use their lunch slot with you to talk about our ratings. Maybe because it's more fun than talking about NBC ratings." Earlier this month, Netflix announced a simultaneous launch of its streaming service in over 100 more countries around the world, bringing its total to 190 countries where Netflix is now available. Ted Sarandos added that since they are running a global network, it isn't easily comparable to any other ratings model on television, adding that he didn't even know offhand how many of Netflix's subscribers fall into the coveted 18-49 demographic. Here's what he had to say about why the company doesn't release any viewer data. "Once we give a number for a show, every show will be benchmarked off that show. We may build a show for 30 million people and we may build a show for 2 million people. And we have shows that do that." Netflix has announced in the past that Orange Is the New Black is their most popular show, although they didn't reveal any specific numbers. Ted Sarandos added that the traditional ratings system puts too much pressure on traditional show's creative talent, which has a "remarkably negative effect" on the programs. He also added that the streaming service would spend roughly $6 billion on content this year, which includes acquisitions of original TV shows and movies. What do you think about Netflix calling out NBC for trying to reveal its ratings data? Would you like to know how many people watch Netflix shows, or does it not matter at all?